This website is part of the DUBV (Declarabele Uren BV) Cobol.nl BV. The BV consists of one independent Uniforce professional, who is in possession of a valid VUR. The VUR is issued annually by the Uniforce Group when the file is in order. The Uniforce Group checks the file for due care and ensures that every independent Uniforce professional adheres to the agreements of the implementation agreement concluded between the independent Uniforce professional, the DUBV and the Uniforce Group. If the self-employed person is in possession of a valid VUR, then the employment relationship with the client is not qualified as an employment contract. - Copy of the declaration letter from the tax authorities. After delivery, the client is exempted from the additional tax due by the tax authorities. - Income-dependent contributions to the Health insurance fund law. 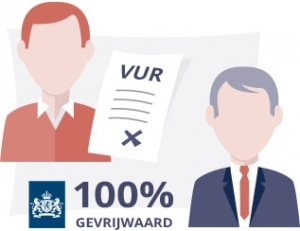 The VUR has been accepted by the Tax and Customs Administration since 2008. For more information, visit the Uniforce website.